Villa as he appeared in the United States press during the Revolution. 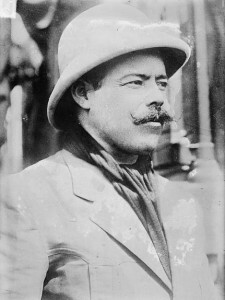 Venustiano Carranza de la Garza was one of the leaders of the Mexican Revolution. He ultimately became President of Mexico following the overthrow of the dictatorial Victoriano Huerta regime in the summer of 1914, and during his administration the current constitution of Mexico was drafted. Birthday of Miguel Hidalgo – The 1753 birth of Independence War hero Miguel Hidalgo y Costilla is celebrated annually. Also known in México as ”father of the nation”. 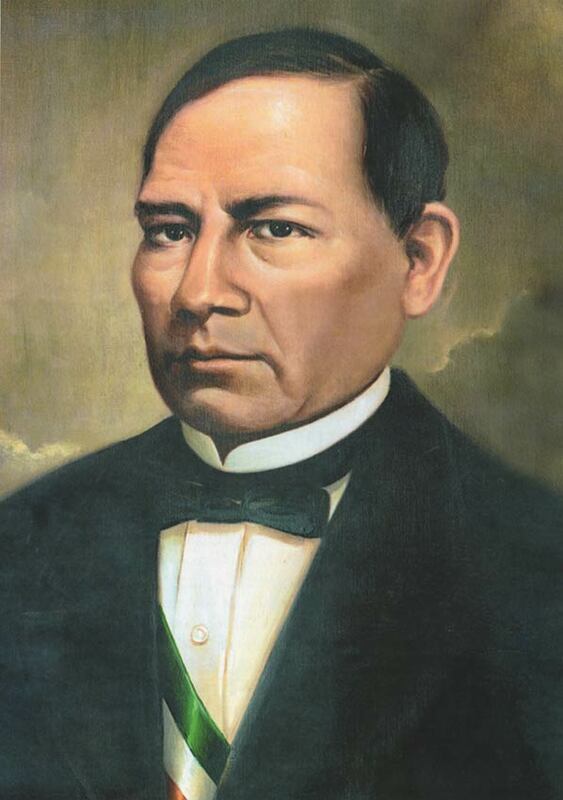 Natalicio de Benito Juarez (Birthday of Benito Juarez) was originally March 21. Observance: This national holiday is observed on the third Monday of March. The birthday or Natalicio de Benito Juarez is a Statutory Holiday (referred as “feriados” or “días de asueto” in Mexico). 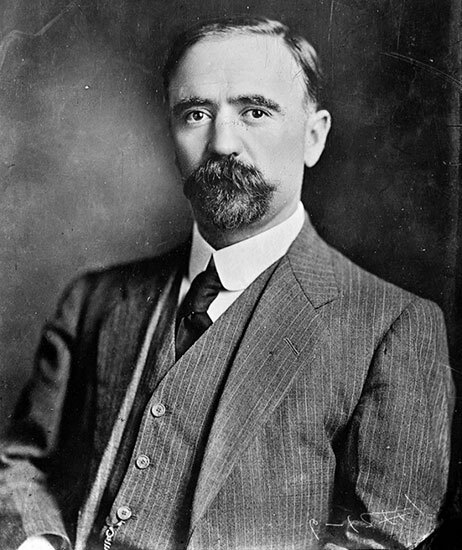 Born in Coahuila on October 30, 1873. Son of a wealthy landowner. Family was devoted to ranching, farming and commerce. Studied commerce and economics in France and agriculture in the U.S. Saw the need to improve conditions in Mexico. 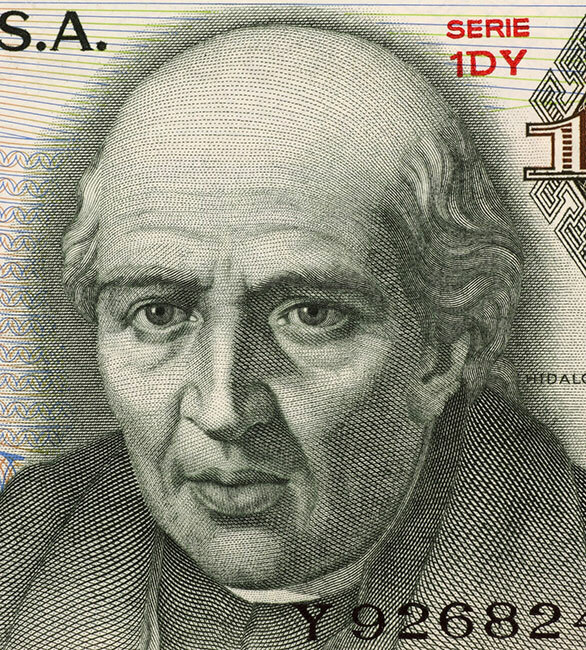 José Maria Morelos (1765-1815) was a Mexican Roman Catholic priest and revolutionary rebel leader who led the Mexican War of Independence movement, assuming its leadership after the execution of Miguel Hidalgo y Costilla in 1811. Image of Jose Maria Morelos on on a 20 Pesos 1977 Banknote from Mexico. Columbus Day commemorates when Italian explorer Christopher Columbus ( Cristóbal Colón ) in Spanish) landed on an island in the Bahamas on October 12, 1492. He was not the first person to discover the Americas but he established contact between Renaissance Europe and the indigenous peoples he encountered. 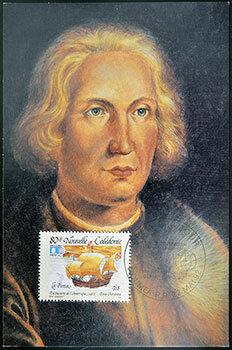 FRANCE – CIRCA 1992 – Christopher Columbus. 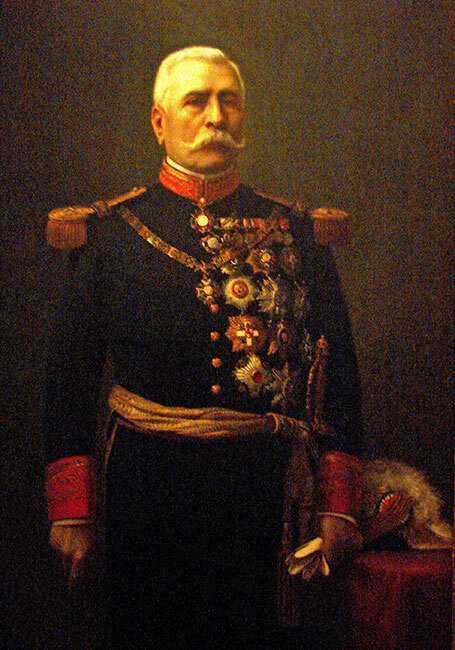 Porfirio Diaz (1830-1915) became a war hero during the French invasion of 1861, helping to defeat the invaders at the famous Battle of Puebla on May 5, 1862. 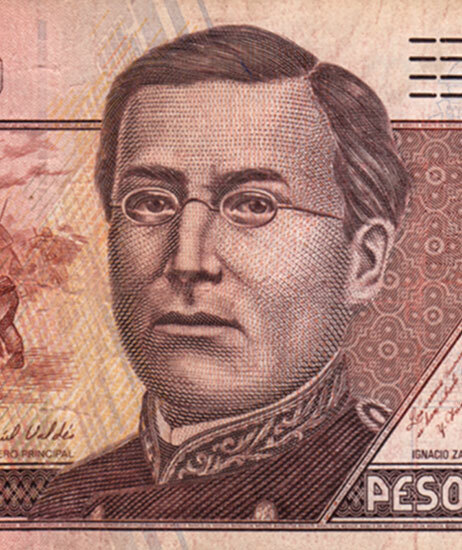 He entered politics and followed the rising star of Benito Juarez, although the two men did not get along well personally. In 1876 he grew tired of trying to reach the Presidential palace democratically: he entered Mexico City with an army and not surprisingly won the “election” he set up himself. 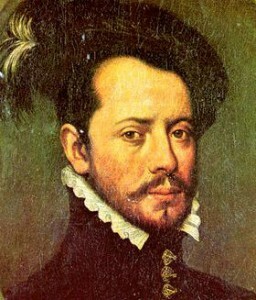 Hernán Cortés (1485-1547) was a Spanish conquistador, responsible for the audacious conquest of the Aztec Empire in Central Mexico in 1519. With a force of 600 Spanish soldiers he was able to conquer a vast Empire that had tens of thousands of warriors. He did it through a combination of ruthlessness, guile, violence and luck. Cortés never lost the spirit of adventure. He personally financed and led an expedition to explore Baja California in the late 1530’s and fought with royal forces in Algiers in 1541. After that ended in a fiasco, he decided to return to Mexico, but instead died of pleuritis in 1547 at the age of 62. 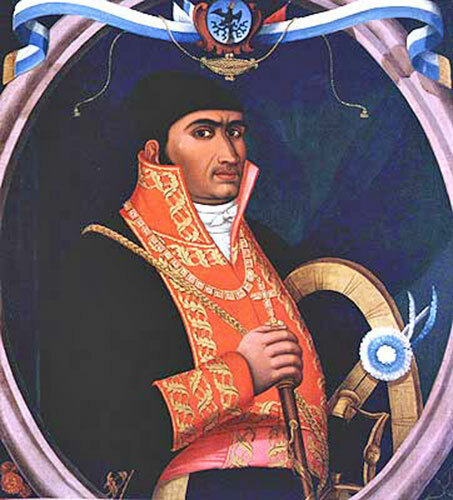 Antonio López de Santa Anna joined the army during Mexico’s War of Independence…the Spanish army, that is. He would eventually switch sides and over the next few decades he rose to prominence as a soldier and politician. He would eventually be President of Mexico on no fewer than eleven occasions between 1833 and 1855. 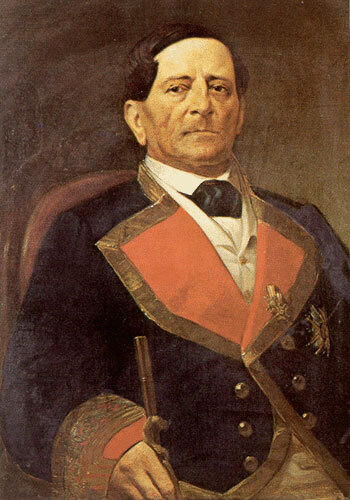 Santa Anna was crooked but charismatic and the people loved him in spite of his legendary ineptitude on the field of battle. 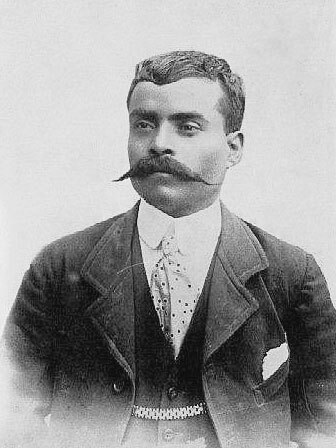 Emiliano Zapata (1879-1919) was a revolutionary who operated south of Mexico City. 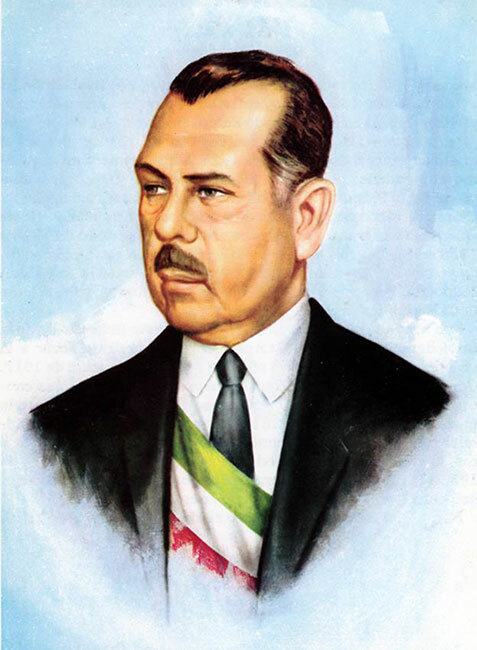 He had a vision of a Mexico where the poor could get land and freedom. Emiliano Zapata (1879-1919) was a village leader, farmer and horseman who became an important leader in the Mexican Revolution (1910-1920). He was instrumental in bringing down the corrupt dictatorship of Porfirio Díaz in 1911 and joined forces with other revolutionary generals to defeat Victoriano Huerta in 1914. 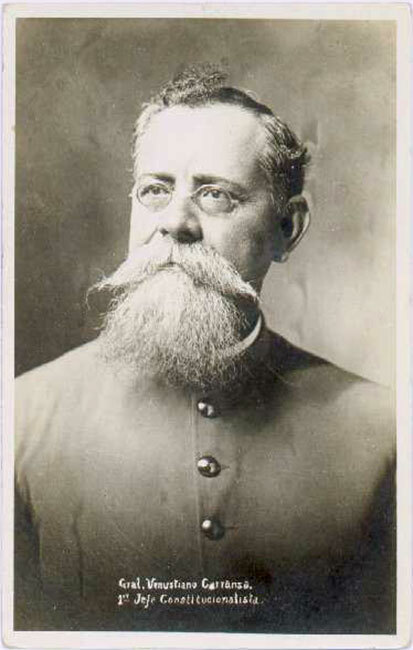 (March 24, 1829 – September 8, 1862) was a general in the Mexican army, best known for defeating invading French forces at the Battle of Puebla on May 5, 1862 (now celebrated in both the United States and Mexico as the Cinco de Mayo). Zaragoza was born in the early Mexican Texas village of Bahía del Espíritu Santo (now Goliad, Texas, in the United States) in what was then the Mexican state of Coahuila y Texas. 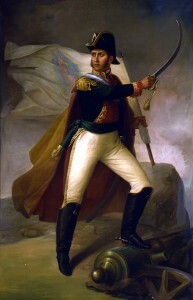 Ignacio José de Allende y Unzaga was a Mexican-born officer in the Spanish army who switched sides and fought for independence. Photo description: oil on canvas: Presidencia de la República. Imagen tomada del libro: Eduardo Báez, La pintura militar en el siglo XIX, México, SDN, 1994, p. 21. This entry was posted in Mexican History, Mexico Leaders, Patriots on January 21, 0201 by admin.